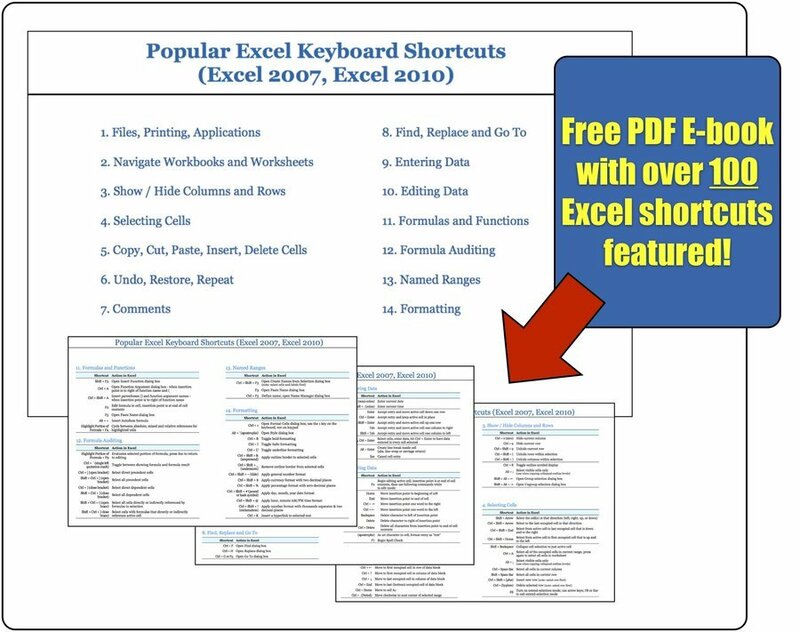 Do you want to learn more Excel shortcuts? Very smart! … and over 100 more great keyboard shortcuts in this handy ready-to-print PDF. Just click on “Get free PDF now!” and enter your name and email address. We know you’ll love the free Shortcuts PDF and benefit from the quality information we provide through the newsletter, and if for any reason you find it’s not for you it’s simple and quick to unsubscribe. But don’t delay, sign up today and start getting free articles and tutorials on how to use Excel better.